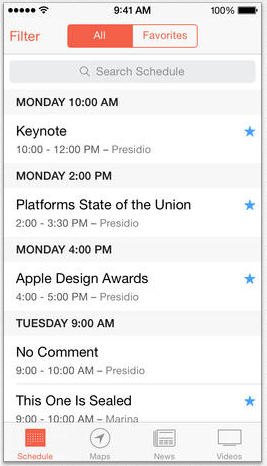 Make the most of the Apple Worldwide Developers Conference with the WWDC app. 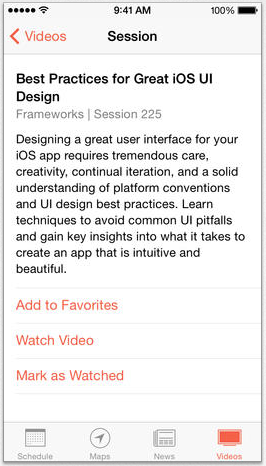 Even if you can’t join us in San Francisco, you can still follow along each day — session videos are just a tap away. 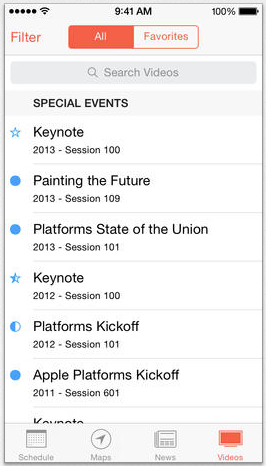 Stream videos from current and previous WWDC sessions. 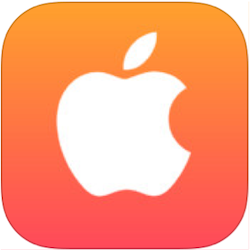 Start watching on one iOS device, and pick up where you left off on another. Browse times, locations, and descriptions for sessions, labs, and special events. Mark schedule items as favorites. Keep up with the latest news, get important notifications, and see daily photos. 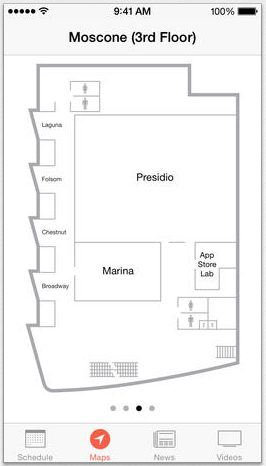 View maps to find your way around Moscone West. Provide feedback on content and speakers for each session. 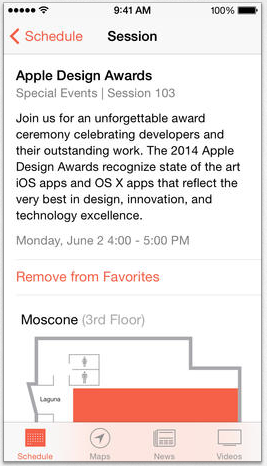 Add your pass to Passbook for faster check-in at WWDC.